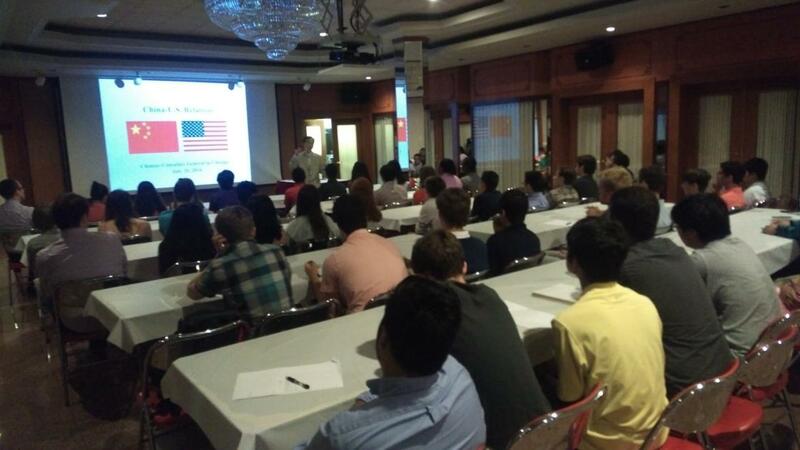 On July 20th, a group of more than 50 students and faculty from the Northwestern Debate Institute paid a visit to Chinese Consulate General in Chicago. The students from the high schools throughout the United States came to Chicago to participate in a 6-week-long debate program. The topic of this year’s program: Whether the United States should substantially increase its economic and diplomatic engagement with the People’s Republic of China. The students firstly watched a documentary on China. Then Deputy Consul General Liu Jun made a PPT presentation on China’s history, current situation, foreign policy and Sino-US relations with pictures, data and examples. 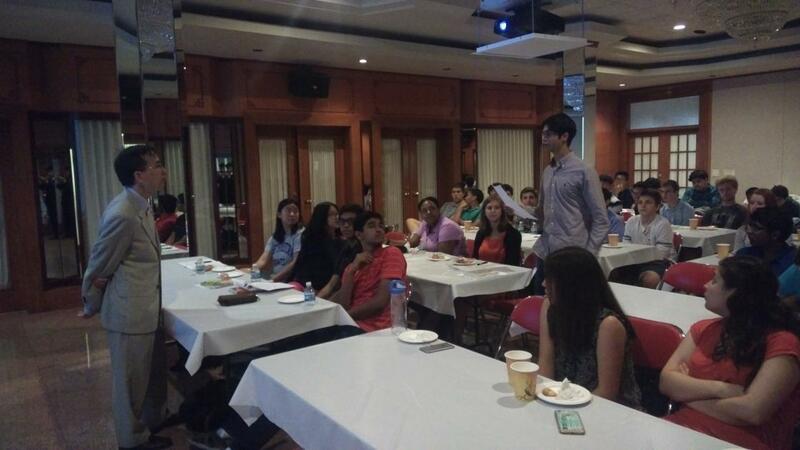 During the course, Mr. Liu asked from time to time the students their views on China. During the Q&A, Mr. Liu answered the questions on outer space, money laundering, AIIB, China’s initiative on climate change, and so on. At the 2- hour -long session, the students enjoyed the tasty Chinese cookies and showed great interest in the CD,VCD and picture books on Chinese history and culture displayed on site.